Montessori is a different approach to teaching and learning. The name comes from Maria Montessori, an Italian doctor who dedicated her life to working with young children, and studying how they learn naturally. Around the world, educators have seen the potential for her approach, and have been developing and refining it ever since. The keystone to Montessori is fostering a love of learning – using a child’s innate passion for learning, they are given opportunities to engage in spontaneous, purposeful activities with the guidance of a trained adult. All of our teachers are dual qualified – in addition to their normal teacher qualifications, they possess post graduate qualifications in Montessori education. Most class rooms also have full-time teaching assistants, which means excellent staff to student ratios and is something which distinguishes our school from many other primary school settings. By design, each class has a 3 year range of ages, and uses very specific equipment and materials across all areas of the curriculum, everything from geometry to botany. Typically, teachers present lessons to a child or children in small groups, who then use the materials to achieve a level of mastery. Within guidelines, children have more choice in their learning than is generally seen within a conventional classroom. They cover all areas of a normal curriculum – the difference is that they have more flexibility in how this is done. They also have more scope to extend in areas of their interest. This is not to say that a Montessori environment is unstructured – in fact there is a strong focus on social and physical order. Rooms are designed to be beautifully presented and maintained, and are generally characterised by low noise levels. Respect for self, others and the environment is an underlying theme which guides everything about Montessori learning. Peaceful conflict resolution is another approach that is used throughout the organisation. 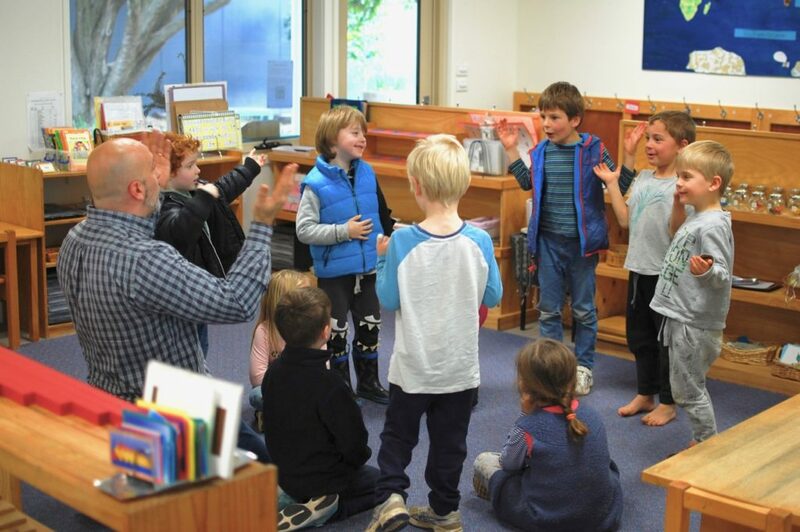 Since 2011, the Montessori National Curriculum has been recognised as an alternative national curriculum framework – which means it has been acknowledged by the Australian Curriculum, Assessment and Reporting Authority (ACARA) as delivering comparable educational outcomes for students to those based on the Australian National Curriculum.